New movie Skyfall has had the biggest Bond opening weekend of all time, according to figures from film company Sony Pictures. Skyfall took $31 million following its release on Friday making it the biggest UK opening of 2012 so far and the third biggest UK opening of all time. 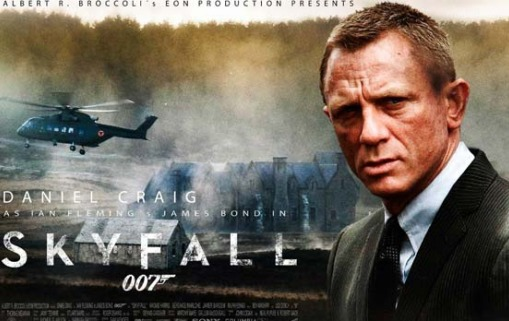 However, Skyfall failed to smash the record set by last year’s Harry Potter And The Deathly Hallows Part 2. The final film in the wizard franchise, in 3D, took $35 million in its first weekend. It is also just behind Toy Story 3, which took $32.5 million in its opening weekend according to Screen Daily, although the animation also benefited from four days of previews. James Bond is the longest-running film franchise in history. Co-starring Dame Judi Dench and Javier Bardem, it opened in 587 cinemas across the UK and Ireland, while US fans will get to see the film from 9 November. Skyfall marked director Sam Mendes’ Bond debut, but sees Daniel Craig back in the role of the spy for a third time, following the success of Casino Royale and Quantum of Solace. Daniel Craig has signed up to return as 007 in two more Bond films. Last week it was revealed in The Hollywood Reporter that one of Skyfall’s co-writers, John Logan, had begun work on a two-part original Bond story, not based on the work of the series’ original author Ian Fleming. John Logan has previously worked on Martin Scorsese films Hugo and The Aviator and Ridley Scott’s Gladiator.